Spring is one of our favorite times of year, especially in Texas before the weather gets too hot. Enjoy the outdoors this season by heading down to Main Street for Music Mondays, going on now through May 6th at 6 PM. Music Mondays is FREE and features a new performer weekly. 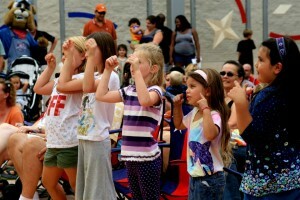 Performers include Round Rock Children’s Choir, Round Rock High School, and more. For more information about Music Mondays visit The City of Round Rock website.